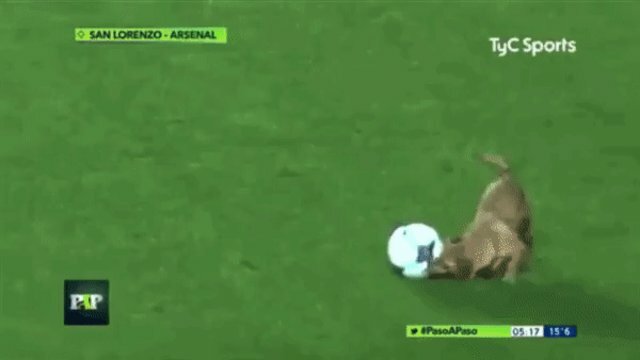 A professional soccer game was brought to an adorable halt over the weekend in Argentina after a random dog stormed the field to have a little fun of her own. Evidently, the pup decided that ball the players had been kicking around was hers now — and she proved it by showing off some pretty impressive dribbling skills. 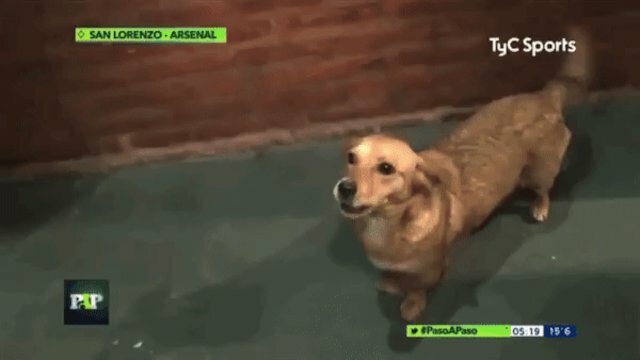 The canine interruption began about 30 minutes into a match between San Lorenzo and Arsenal de Sarandí. It's unclear exactly where the dog had come from, but she clearly arrived with purpose. After an out-of-bounds hit, a player from San Lorenzo was supposed to make a corner kick. Before the ball could be retrieved, however, the rambunctious pup leapt into action, claiming it as her own. Even as officials tried to restore order, the very happy dog persisted. She apparently wanted to goad them into playing fetch. No one seemed to mind much, though. In fact, everyone seemed to be thoroughly charmed by the dog — as revealed by TyC Sports' video of the incident and subsequent interviews with some of the players. A reporter actually tried to interview the dog about what took place — but it didn't go so well. She decided that the microphone belonged to her now, too. San Lorenzo went on to win the match, 1-0. Did this pup have something do with that? Probably. Either way, the team was so impressed by the presumably stray dog that they've actually given her a job. According to news outlet Olé, the stadium's groundskeeper has adopted her. She'll work on site with a few other dogs he keeps to chase away birds who try to eat grass seeds planted when the field needs repair. 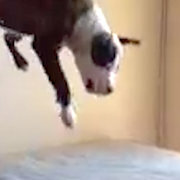 After all, this dog has already shown that nothing gets by her.